The discovery rule pertinent to the statute of limitations was reviewed by the court in the case of Adams v. Zimmer US, Inc., No. 17-621 (E.D. Pa. Aug. 14, 2018 Smith, J.). In this matter, the Plaintiff had undergone a hip replacement surgery in 2011 and had continuing pain and complications thereafter. She had a repeat surgery in 2015 to remove and replace the prosthesis. She filed a products liability suit against the manufacturer for an allegedly defective prosthesis. The court noted that it felt constrained to grant summary judgment in this matter under the rationale that the Plaintiff’s claims were barred by the statute of limitations and the application of the discovery rule. 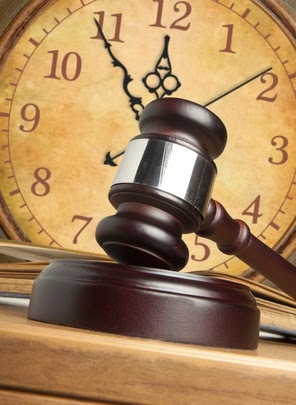 In so ruling, the court found that Pennsylvania’s narrow discovery rule tolls the statute of limitations only until the injured party discovers, or by reasonable efforts should discover, the injury and that it was caused by another party’s negligent conduct. The court reaffirmed the principle of law that the discovery rule does not require knowledge of tortious conduct, precise cause, or the full extent of injury. In this matter, the Plaintiff knew that she had some form of injury before undergoing her replacement surgery. The Plaintiff’s denial that her doctor told her what appears in his notes is insufficient. The court stated that insufficient memory does not create a genuine dispute because “I don’t recall” does not rebut affirmative testimony to the contrary on the issues presented. The court additionally noted that the Plaintiff’s signed informed consent form mentioning “metallosis” more than two (2) years before the Plaintiff brought suit, satisfied the mandates discovery rule even if the Plaintiff allegedly did not read the consent form. The court otherwise held that the discovery rule takes an objective view of what a person in the injured party’s situation knew or should have known under the circumstances presented. Consistent with the above law, the court held that knowledge that a product is defective is not necessary. Anyone wishing to review a copy of this Opinion may click this LINK. The Court's Order can be viewed HERE.